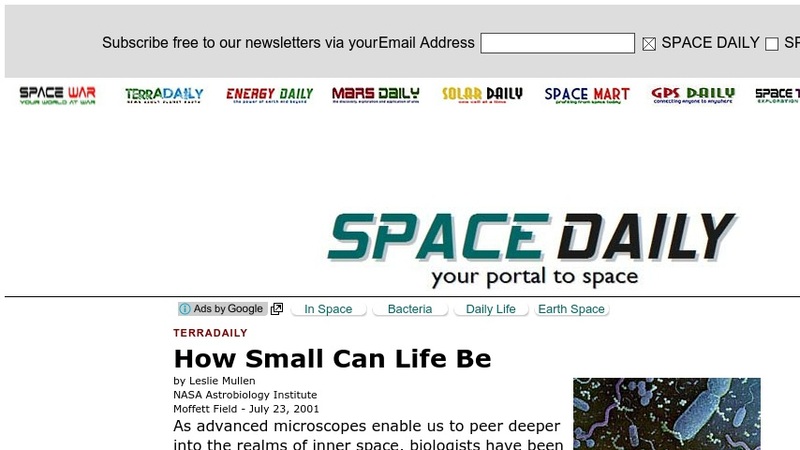 This Space Daily article presents information regarding nanobacteria. The article discusses what a nanobacterium is, the controversy over whether or not something so small can be living, and future research regarding nanobacteria. The article features hyperlinks to key vocabulary, links to related pages, and a color photograph of an enlarged view of bacteria.